To the uninitiated, an eternity band or ring is worn to symbolize never-ending love between a husband and wife or an engaged couple. The band is comprised of a precious metal such as gold, palladium, white gold, platinum or rose gold set with gemstones that are identical in cut that form a continuous line. An emerald eternity band may be rarer than a diamond one but it is also more unique. 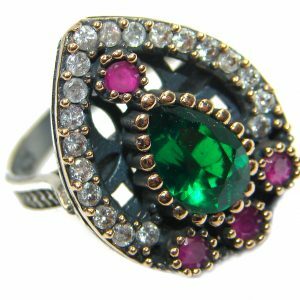 Because emeralds symbolize fidelity and hope, they are becoming increasingly popular as center stones for eternity bands, albeit other precious stones such as ruby, sapphire, topaz, and amethyst have also found their way in these bands. This concept of everlasting and infinite love through a ring made of a precious metal and precious stones begun in ancient Egypt more than two millennia ago. 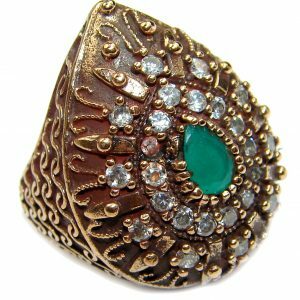 The presence of all those gemstones all around the band can be cumbersome for the wearer, the reason an alternative has been created by having the gemstones set only across the ring’s face. This style is often known as the “half-eternity” band instead of the “full eternity” band. Not only diamonds are used to make eternity bands. Couples who think out of the box and want to be different have theirs made of other stones. The Half-Eternity ring has become the preferred choice of most people today since it can sit more comfortably on the wearer’s finger. 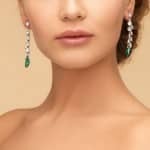 There is a selection of designs to choose from including that of a diamond set, round, grain set, princess, bar set, Carre cut, Channel set, baguette, flush, pave, and claw set. While the “full eternity” ring is traditional, it costs twice or thrice the price of its half-eternity counterpart. Additionally, the “full eternity” ring cannot be adjusted for the wearer’s finger size since it has to be ordered, customized to the buyer’s preferences, and then made. 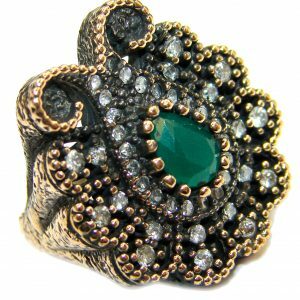 In fact, very few jewelers keep “full eternity” rings in stock as samples. Quoting for a “full eternity” ring is also costly since working out its estimate value is a difficult task that requires a high level of skilled assessment. The mounts of “full eternity” bands are more expensive to create than those for their “half-eternity” versions. The mounts are made individually, with a single master model for each customer’s finger size. Because of these limitations, most women now go for “half-eternity” bands and maximize showing off their rings by having all the gemstones concentrated in the front or head of the ring for visibility. The depth of a “full eternity” ring’s shank between the wearer’s fingers makes it uncomfortable and sometimes painful to wear. 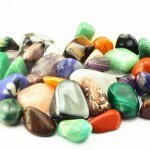 This also limits the sizes of the gemstones that can be used. “Half-eternity” rings, on the other hand, are easily sized and make for a more economic line of stock as far as the majority of retail jewelers are concerned. “Half-eternity” jewelry pieces are now outselling their “full-eternity” siblings. Regardless, however, of whether an eternity ring is “full” or “half,” the setting is often what makes it unique and magnificent to look at. The claw setting has always been the most fashionable in the U.K.’s jewelry industry. There are several claw settings for eternity bands but those with the gemstones set in the shank’s metal – known as grain, pavé or flush, are preferred. Oblong- or square-cut emeralds are the most ideal choice for an eternity band primarily because they can be easily set continuously in a band from edge to edge. An emerald with a princess cut has been recently added to the list of the most-sought after designs for eternity bands. Emeralds are especially in demand for gemstone eternity bands because of their vivid and vibrant green color that attracts attention anywhere. Channel settings are very secure and are not prone to the usual snagging because the stones are designed to be set flushed within the rings. 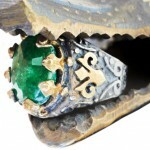 This involves the metal forming a channel at the ring’s two edges where the emeralds, or other gemstones, are set. 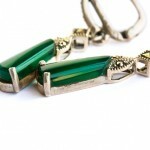 Channel-set bands are most suitable for emeralds that are round, princess cut or baguette-styled. Bar-set emerald eternity bands let in light to create sparkles in brilliant shades of green. The emeralds set in a bar are separated with the use of metal bars which are held perpendicular to the band. 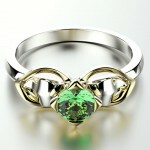 The bars, incidentally, are an integral part of the design of the emeralds themselves. 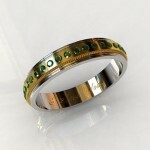 Bar settings are best for same sized emeralds, or other gemstones, to give the eternity band a contemporary appeal. Those who would like to know in which “correct” order an eternity band must be worn should know that it is all relative both to an engagement and a wedding ring. Since most people wear their wedding rings all of the time, a wedding ring is considered to be the first piece of jewelry that is placed on the finger; this is also because an engagement ring is oftentimes removed after the wedding. Women who choose to wear their engagement rings should put these on after their wedding rings. 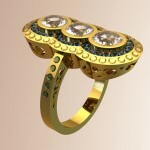 What about the eternity band that a woman is given by her husband or fiancé? It really depends on the woman’s personal preference. Generally, though, an eternity band with a lot of claws should be removed when doing certain tasks or chores, meaning an eternity band should be put on the last. An eternity band without claws, however, may be left on the finger wearing both the engagement and wedding rings. Additionally, a woman can wear her eternity band instead of her wedding ring. Some women wear their eternity rings first followed by their wedding and engagement rings in that order. 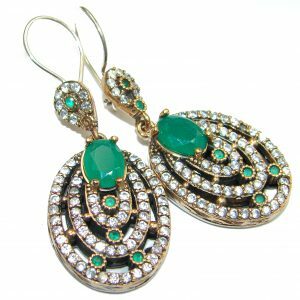 As mentioned, it all depends on the wearer’s preference as well as her comfort and sense of style. 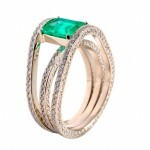 An emerald eternity band is an impressive alternative to the diamond version which has become quite ubiquitous. Emeralds add spice to eternity bands and incredible meaning to a personal piece of jewelry. 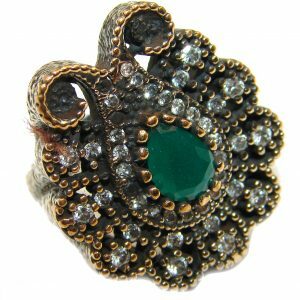 Additionally, an emerald eternity band is more suitable for the rough and tumble of daily wear. It also signifies other special occasions like an anniversary, engagement or the birth of an eldest or youngest child. 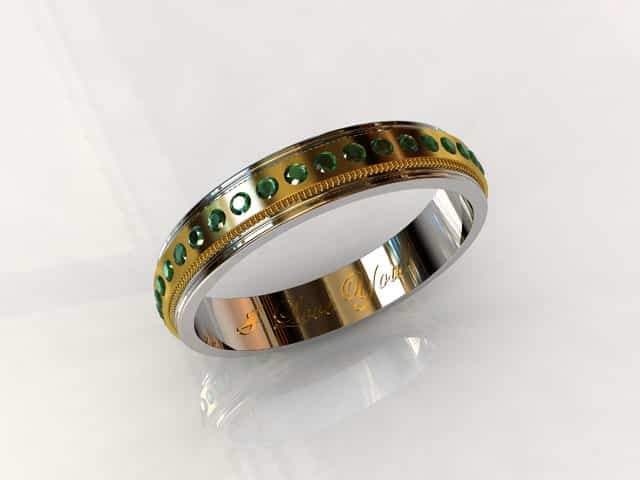 The eternity band’s continuous circle, a symbol of love’s timeless state throughout a human’s lifetime, and with an emerald set in its center, is doubly noteworthy because of this green gemstone’s association with good health, abundance in resources, contentment, and happiness. 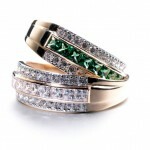 A diamond eternity ring may be “forever” but an emerald eternity band is far more fascinating.